Here's a recent before and after shot. 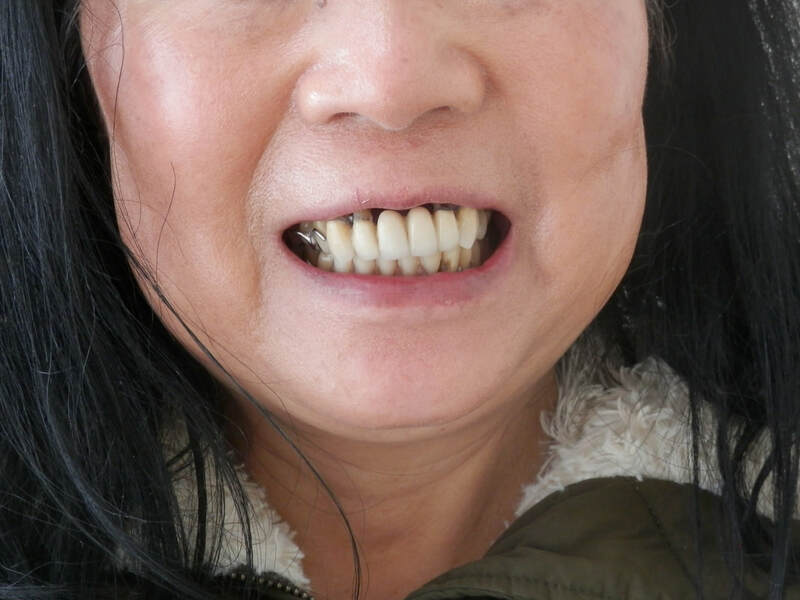 Here's a full upper denture made recently. An old upper fixed bridge had to be removed along with the remaining upper teeth. 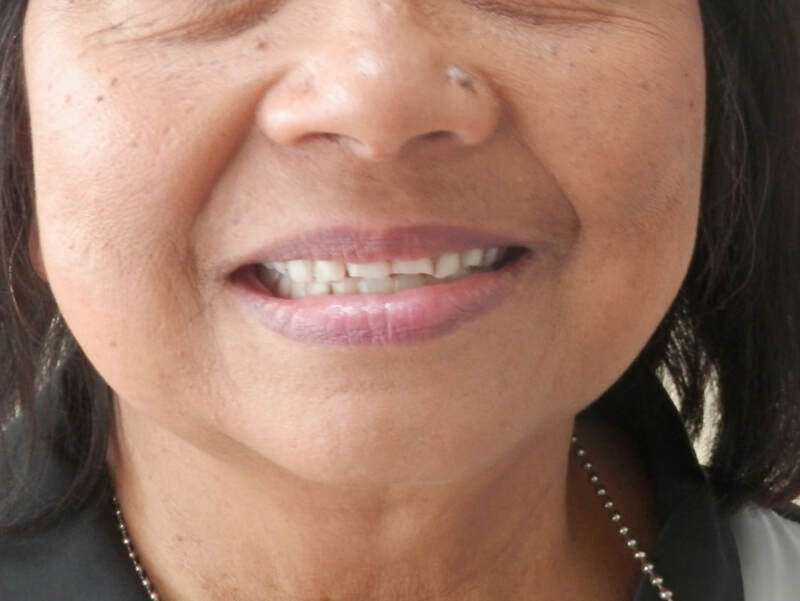 The denture was made before the extractions so the dentist could put it in immediately after the extractions. 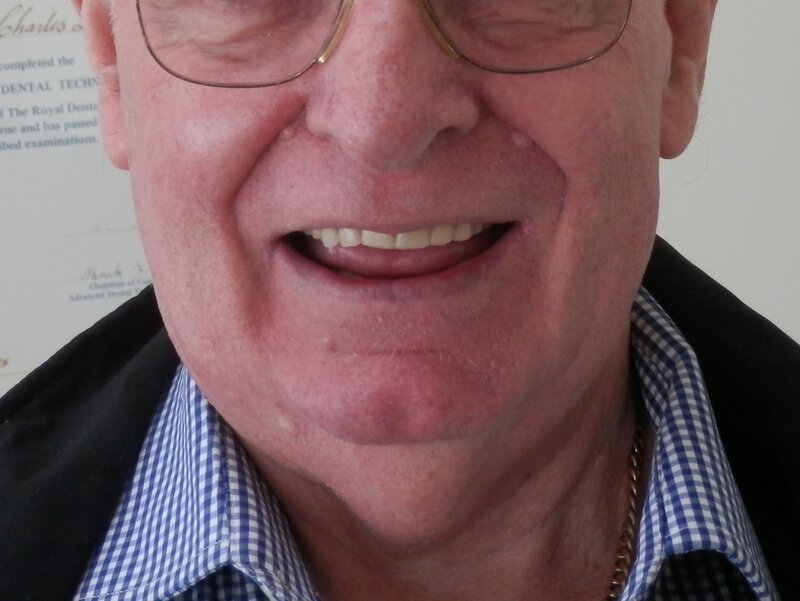 ,This gentleman had a new implant retained lower denture made elsewhere in a very light shade. 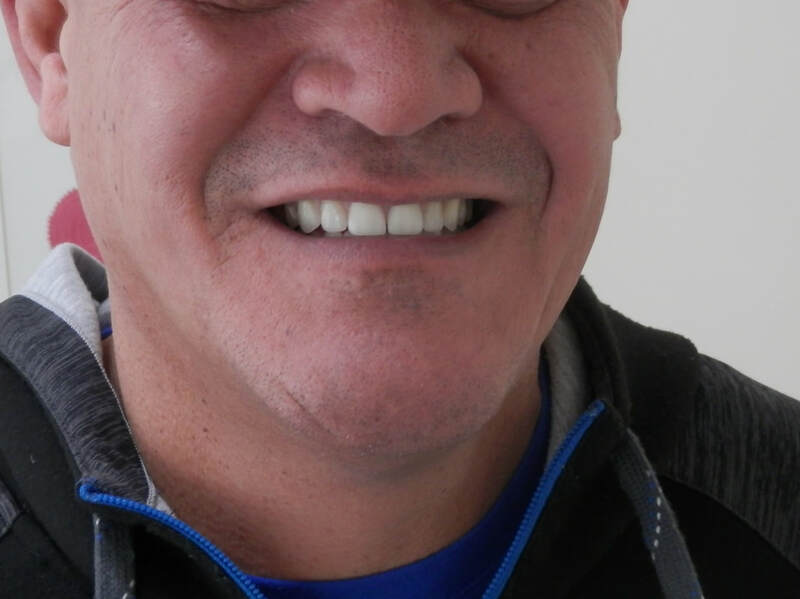 He asked me to make a new full upper denture, but he wanted it to look natural. If I made it to match the lower, the colour would have been way too light to look natural. I ended up using a light colour for the 2 front teeth (A1), a slightly darker shade for the next 2 front teeth (A2) and an even darker colour for the canine teeth (A3). 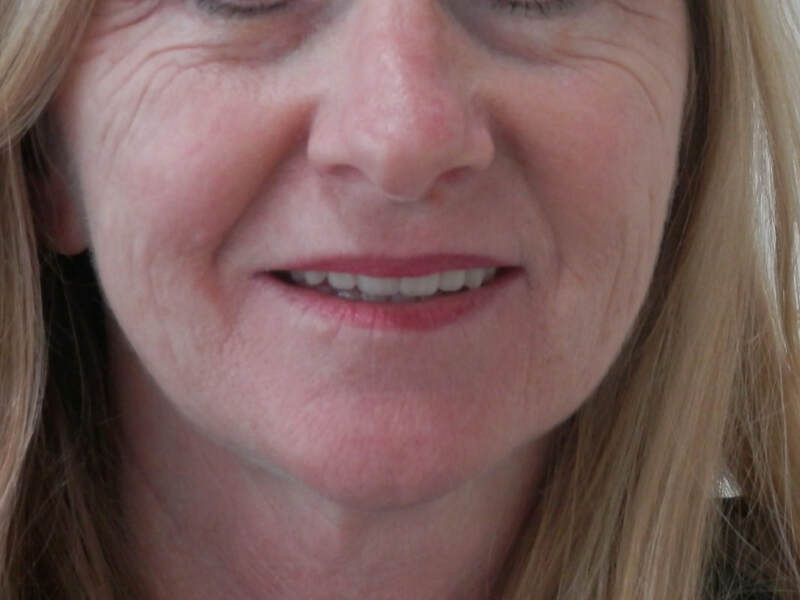 The end result was a denture that matched the lower but still retained a natural look. With a small gap between the front teeth the natural look was complete. 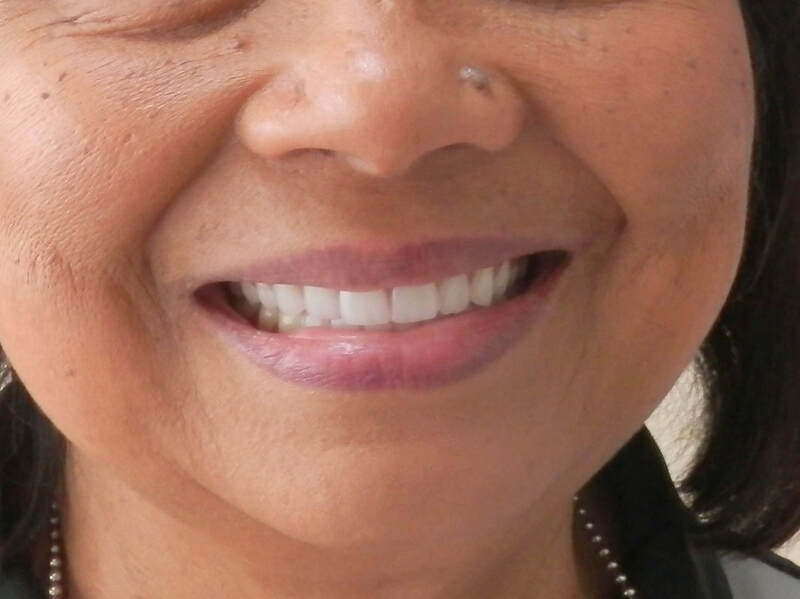 We have replaced an old unattractive upper denture with a new one. 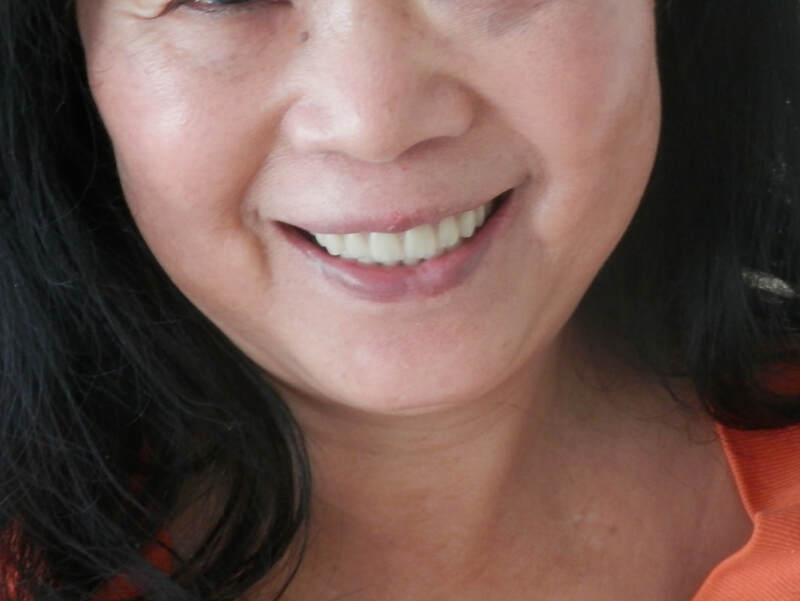 The happy client can smile again! ​ Before and after photos below. 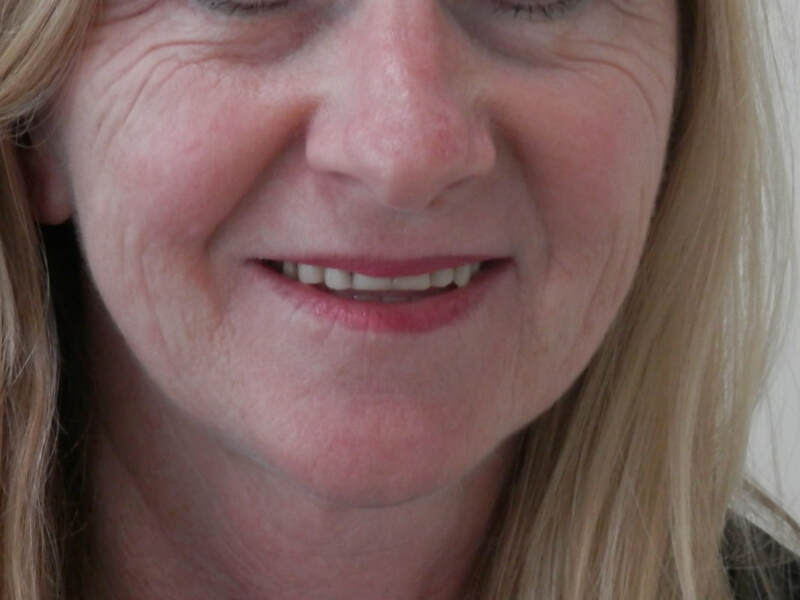 Before and after photos of the Hollywood white dentures. 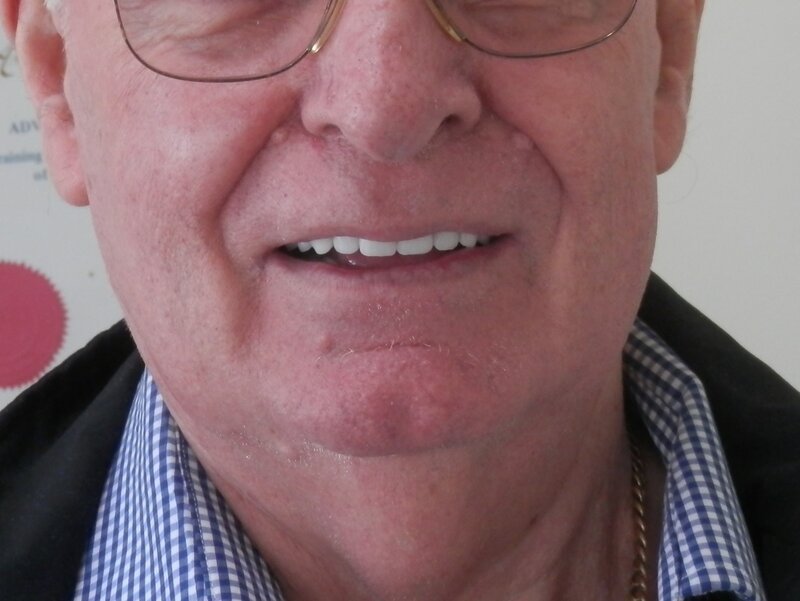 I've just started a new full set of dentures for a gentleman who wants the "Hollywood" impossibly white teeth look. This is not normally something I'd recommend. Archives. Click a month below to see real case histories. Always start at the bottom of blog pages. It's mouthguard season! Contact us to make an appointment for a perfect fitting mouthguard.